Lee Wagner, for whom a Boys & Girls Club was an important formative influence, today works to give kids a chance to be their best selves. Photo courtesy of Kacy Dennis. Sammie Dixon isn’t much of a storyteller, but he took a stab at the latter-day parable about the girl and the starfish. A girl happens upon a stretch of beach littered with thousands of starfish. She is observed by onlookers as she picks up a few and tosses them into the ocean. One man, in particular, mocks her efforts, telling here that she cannot possibly save them all. Her resolve proves contagious. Others join her. And still others. And, before long, all the starfish have been saved. 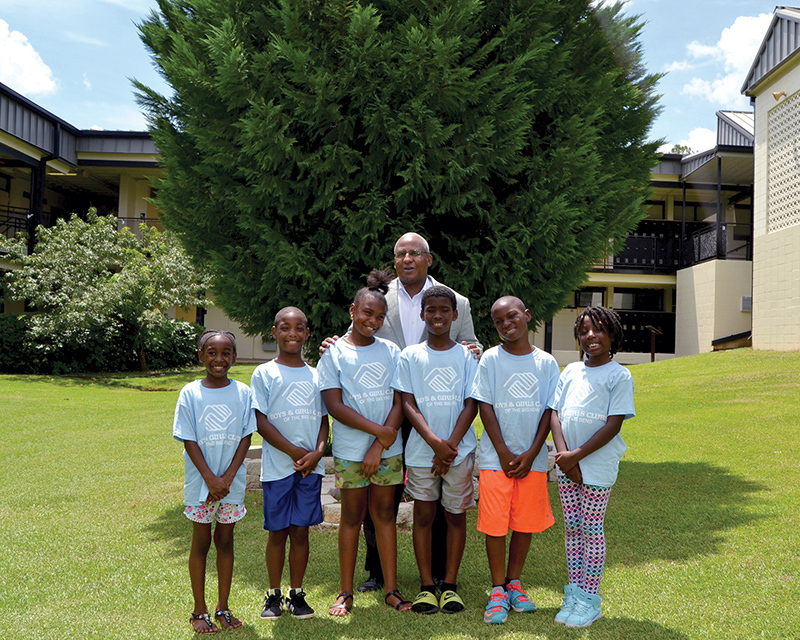 For Dixon, the CEO/president of Prime Meridian Bank, the girl is a metaphor for the Boys & Girls Club of the Big Bend, which he serves as a board member. Wagner became director of the Boys & Girls Clubs of the Big Bend three years ago, succeeding Theresa Flury, a one-time public defender who guided the organization through the roughest patch in its 25-year history. Wagner points to the subsidized Sunrise Apartments, where crime rates have dropped since the club got involved there. He notes a partnership with the Rotary Club of Tallahassee, several of whose members serve as mentors to club kids. One mentor led a boy to confine his anger to a boxing gym. Another, an architect, is encouraging his mentee to pursue a technical career and made it possible for him to attend a STEM (Science, Technology, Engineering and Math) camp at FAMU. Wagner sings the praises of Leon County school officials who have made school-based club sites possible. Just a few years ago, the club was on its deathbed, its future no more certain than that of its most desperate member. Liabilities, Dixon said, exceeded assets by more than $1 million. But it survived, despite contracting state funding, Sumner said, due to the dedication of a stubborn few and because it was sorely needed. Wagner is a club kid himself. He grew up in a public housing development in a single-parent household in Bristol, Virginia, located about 100 miles north of Knoxville, Tennessee. The club there was a proving ground for Boys & Girls Clubs personnel, and Wagner encountered such formative influences as David Roark, who would become the regional vice president for the organization in the Southeast, and Gary Cain, currently the president/CEO for the Boys & Girls Clubs in Orlando. Club programs adhere to a “Formula for Impact,” which has three priorities: academic success, character and citizenship and healthy lifestyles. Florida TaxWatch conducted a study of Florida Boys & Girls Clubs in 2013 and concluded that they contribute to academic success including higher achievement on standardized tests, lower absenteeism, reduced dropout rates and improved graduation rates. TaxWatch calculated that club members are less likely to become involved in the juvenile court system and that taxpayers realize a $5,000 savings whenever a child is diverted from criminal activities.